Eight people were killed and 24 others injured as a bus full of passengers, a truck and a tractor crashed in southern Israel, emergency services said. 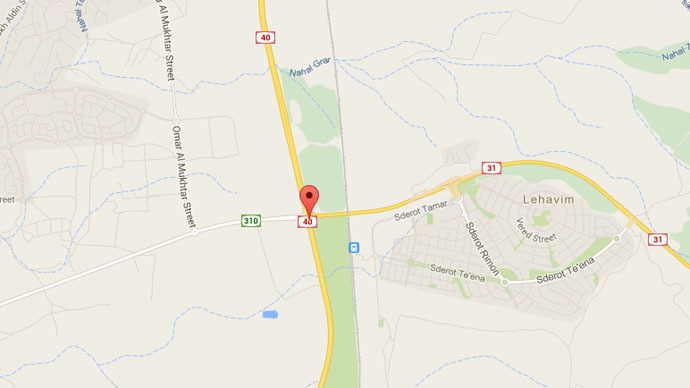 The accident happened near Lehavim junction in the Negev desert shortly before 2:30 pm local time. According to Yehuda Shushan, southern district director at Magen David Adom (MDA) rescue services, eight people, all females, were killed in the crash. Shushan said 21 bus passengers were also slightly hurt, with two suffering moderate injuries, while one was badly injured. Witnesses told Israeli Channel 2 that a tractor, being transported by the truck, came loose and toppled onto the bus. “Based on the reports we are getting, there are no survivors on the bus. I say this advisedly since we are not sure, but this is what I know from reports from the scene,” an official from the Magen David Adom rescue services said. According to the MDA, it was a public bus, with the killed and injured in the crash being local residents. The eight people killed in the crash were Bedouin residents of the town of Rahat, Talal al-Karinawi, Rahat mayor, said. The people were on their way home from Jerusalem’s al-Aqsa mosque when the accident happened, he added. “These are senior citizens, not children, they have families,” al-Karinawi said, as cited by the Times of Israel. Some of the injured were in a critical condition. They received lifesaving treatment at the scene or were taken to Soroka Medical Center in Beersheba, Zaki Helle, MDA spokesman, said. In October 2014, there was another large road accident near Lahavim Junction, with one person dying and several others injured when two trucks and 10 private cars collided.